Brad Douglas Fraser is not from Paisley, Scotland however he is an amazing Country music singer and guitarist from Wheeling West Virginia in the United States of America. 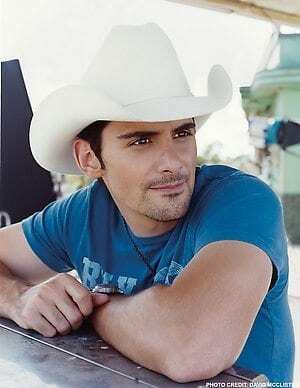 Brad Douglas Paisley (born October 28, 1972) is an American country music singer-songwriter and guitarist. His style crosses between traditional country and Southern rock, and his songs are frequently laced with humor and pop culture references. Paisley was the 2008 CMA and ACM Male Vocalist of the Year winner. Starting with the release of his 1999 album Who Needs Pictures, Paisley has recorded seven studio albums and a Christmas compilation on the Arista Nashville label, with all of his albums certified gold or higher by the RIAA. In addition, he has charted 25 singles on the U.S. Billboard Hot Country Songs chart, 15 of which have reached #1 with a record 10 consecutive singles reaching the top spot on the chart. On November 10, 2010, Paisley won the Entertainer of the Year award at the 44th annual CMA Awards.